The AVO SESSION Basel is a Swiss lifestyle-music festival with an international presence. It takes place in Basel, Switzerland every year in Autumn (October/November). Both international stars and Swiss artists, many of them coming from the most diverse musical backgrounds, join forces to create unforgettable concert evenings. The festival captivates its audience with its intimate club-like setting with small, candle-lit tables and with a broad musical spectrum featuring daring programme combinations. No other event brings the stars this close. Each year, approximately 19,000 music fans flock to the festival, which is held in the Festival Hall of the Basel Fair. 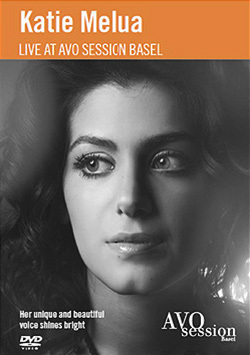 Past performances include Sir Elton John, Tom Jones, Joss Stone, Katie Melua, Joe Cocker, Seal, Ronan Keating and many more. The festival has now been renamed: Baloise Session. Spark produced the “Live at AVO Session” DVD series in cooperation with the Festival AVO Session Basel and Swiss TV channel SF DRS. For more than 25 years, AVO Session Basel has been entertaining young and old audiences with its carefully selected list of performing artists at the concert series taking place each year in Autumn. From blues to jazz, from reggae to hip hop, from pop to rock, AVO Session Basel out-performs itself year-by-year by presenting a wide array of performing artists in an intimate atmosphere. Most of the concerts have been recorded by its media partner, the Swiss TV channel SF DRS. Finally, AVO Session has opened its vaults to the public and has entered into a joint venture with Spark to produce a series of DVDs that reflects the high quality of the festival. 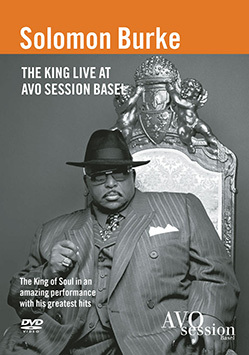 The first DVD was SOLOMON BURKE – THE KING LIVE AT AVO SESSION. Known for hits like “Everybody Needs Somebody”, “Proud Mary” and “Cry to Me”, Solomon Burke had everyone dancing in the aisles at his unforgettable performance at the AVO SESSION Basel in 2003. “Georgia on My Mind”, “Dock of the Bay”, “Mona Lisa”, “I Will Survive” and “Stand by Me” are just a few of the musical delights on the DVD. Due to excellent sales results, Spark has now made the title available across Europe and the US. 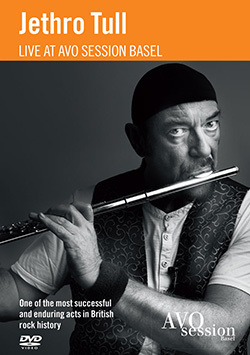 November 2009 saw the release of the second title of the series: JETHRO TULL – LIVE AT AVO SESSION BASEL. A unique phenomenon in popular music history, Jethro Tull has been and still is one of the most successful live performing acts on the world stage, rivalling Led Zeppelin, Elton John and even the Rolling Stones. After forty years at the bottom, at the top and various points in between, with 30-odd albums to their credit and sales totalling more than 50 million, Jethro Tull are still performing typically more than a hundred concerts every year. This is one of their best. Avo Session has since been renamed to Baloise Session.